Sweeper for construction and municipal machines has experienced robust design with minimum needs for maintenance. Its change settings doesn’t have excessive working and time demands. It is a quality and fast help for hard work. Its connection to operating machine is quick and easy. 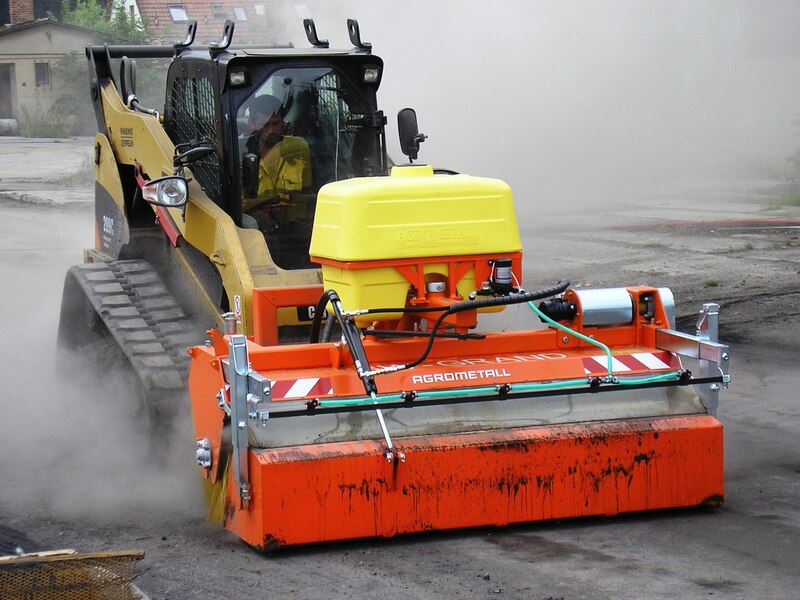 The sweepers for construction machines are produced in working width 2100 and 2800 mm. All these sweepers are driven by hydraulic motor which needs the oil flow minimally 50 Lpm under the pressure of 16 MPa in the hydraulic system. It is possible to turn each sweeper mechanically to the right-left side within ± 20°. The operation possibility and performance depend only on selected carrier. All sweepers SW-S version are exclusively front mounted. 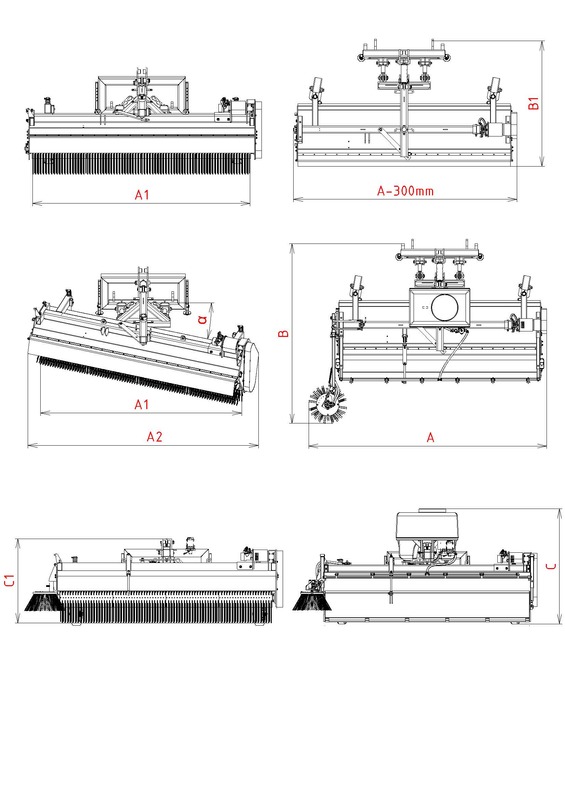 The linkage parallelogram provides lateral and longitudinal copying, therefore it is possible to operate these sweepers on machines which don’t have the linkage floating position set up possibility. If the collecting tray is used, the sweeper is perpendicular to the driving direction. 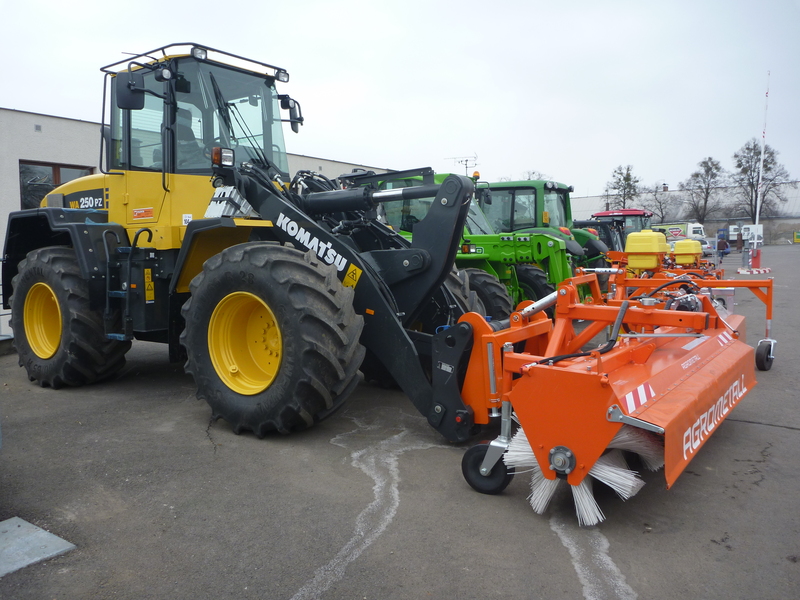 It has in basic equipment two depth, height adjustable wheels 3.00–4 Solid which serve to set up the down force of the sweeper to the ground and allows also to follow the road profile independently of the loader, mechanic shooting ± 20°, hanger for Forklift forks, versatile PPN brushes with diameter 700 mm. Like an option it is possible to order winter PPN brushes, brushes with slices or both types with a combination of PPN and steel. Maximum working speed is 15 km/h, maximum transport speed is 20 km/h. Maximum slope operability is 8°. Are you interested in SW-S sweeper? Do not hesitate to write us.